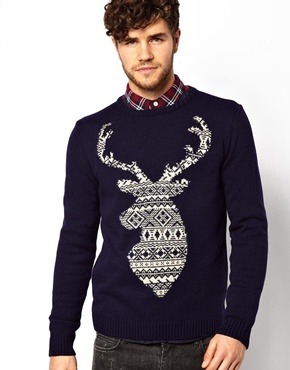 This is a classic holiday sweater without looking too kitschy. Good for meeting conservative in-laws or paired with a swingy skirt to look cute ‘n sassy during the holidays. Yes, that is Santa urinating presumably somewhere in the North Pole. Santa had a little too much to drink at the party (or because he was trying to deal with holiday pressures), and we’re hoping he won’t end up with an indecent exposure charge on his record. 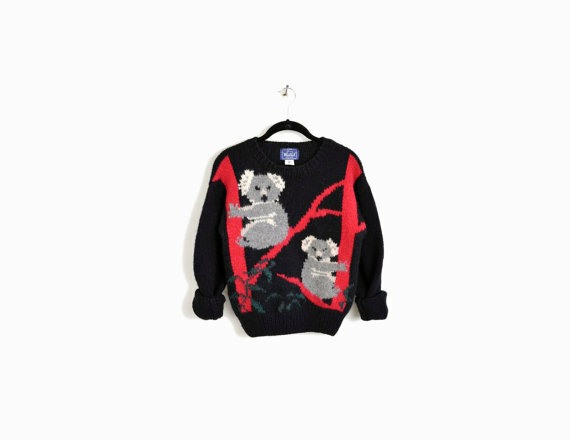 Either way, a fantastic ugly sweater party item. Just look at that babe in the photo. A guy not ashamed to be festive is the most attractive guy at the party! 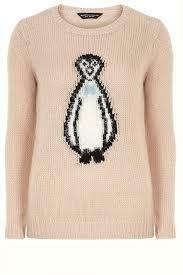 This sweater is also understated and would accompany a “Nice to meet you, Mr. and Mrs. So-and-So” quite well. 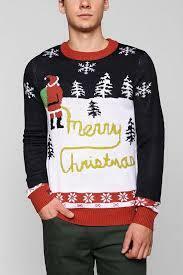 So we know this is the second Tipsy Elves sweater we’ve used, but this one is too good to pass up. The dancing dreidels holding up a menorah are pretty much the most fantastic thing. 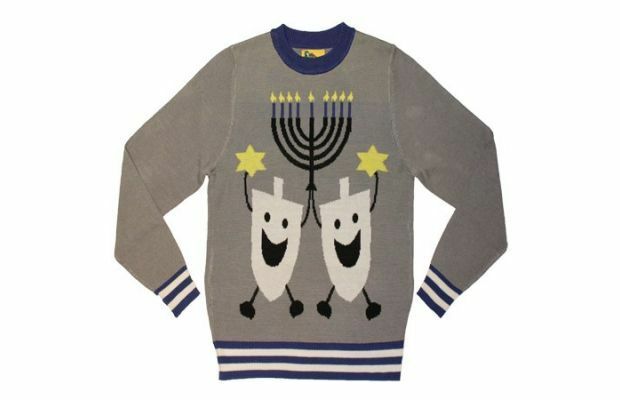 Besides, what would a holiday sweater round-up be without a Hanukkah sweater?